The next morning, I wake up to the sound of Charlotte crying. Being careful not to step on Octavia or Raven, I walk to her cot and pick her up. Immediately, she stops. Raven is the first to move, groaning as she sits up. "How drunk did I get last night?" She whispers. "Sshh, inside voices. Your giving me a headache." Octavia murmurs. I laugh. These two hungover women now have to prepare me for the biggest day of my life. 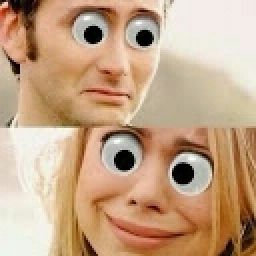 Oh God help me. I rush to go get them both water. When O and Raven have somewhat recovered and Lottie goes back to sleep, they sit me down and start to remake me. Early in the morning me, Lincoln, Miller, Jasper and Monty all start to set up for the ceremony. After hours of putting out chairs and setting tables, I go to the tent Clarke and I share to pack our things. I also prepare a bagpack for Lottie to give to Abby because she will be babysitting while we are away. Once I&apos;m sure there is nothing else I can do, I head back to Monty and Jaspers tent to get changed. 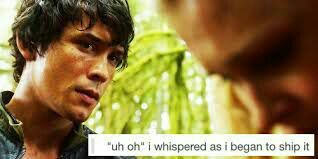 Looking in the mirror, the Bellamy Blake looking back at me is a lot more sophisticated. I like him. "Time to go. You ready?" Miller asks, poking his head into the tent. He too wears an all black suit and white shirt. Taking a deep breath I reply- "No... Let&apos;s do this." We stand on the edge of camp by the arch were I will later recite my vows. Monty and Jasper are adding the finishing touches to my suit, like flowers and a bowtie. Then as people begin to arrive, I greet them and show some to their seats. As the 100 makes up the majority of our guests, they are seated at the back. Its nice to see many have made an effort, whereas as Murphy still wears the same run down clothes as he always does. At least he turned up. 10 minutes later the seats are almost full and I&apos;m dragged to the end of the aisle to await my blushing bride. The same stereo I used on the cliff that day plays once again. Arm in arm with her Mother, the sight of Clarke takes my breath away. Her short-sleeved dress fits tightly at the torso but gets looser further down. Its ends at her feet and is plain. No jewels or fancy stuff, just plain. On her head rests a silver tiara. The perfect crown for the perfect princess. Waddling behind her, Lottie is guided by Octavia and Raven, all of them in similar outfits. Beautiful. Clarke now stands right in front of me. "Look at you, Bell. All fancy looking". I take her hand and usher her towards Kane (who is acting as our minister). The huge crowd take their seats as Kane begins to drone on. Ignoring him, I stare into Clarke&apos;s deep blue eyes. In the blink of an eye, our vows are over and we&apos;ve exchanged rings. Marvelling at the ark that day gave me and idea. After seeing Wick, I retrieved some bent metal from the drop ship, the first place I met Clarke. He then made two rings out of it; the rings we now wear. "You may kiss the bride". I don&apos;t hold back. Me and Clarke kiss like we&apos;ve never kissed before. Our tounges intertwine and dance. Cheers erupt from the 47 who I&apos;m sure knew we&apos;d end up together all along. Nothing stops our kiss, until neither of us can breathe. We gasp for air and laugh. Clarke Griffin is all mine. Loved writing this chapter. As always, thank you for all of the support. Almost 1000 reads. You guys are the best. 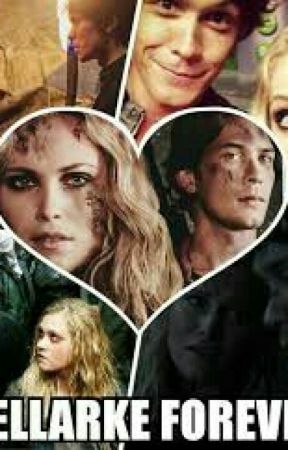 Any feedback or comments is appreciated and if you have any suggestions of should happen to Bellarke next, please tell me. I&apos;m open to suggestions. But spoiler alert: Life is definitely not going to be easy from here on out. Love you chummies!! Happy reading! !